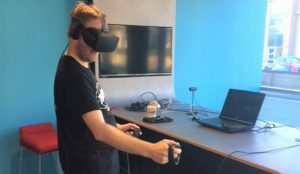 We had great fun in the office today playing with the Oculus Rift Virtual Reality headset. 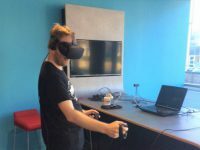 The Oculus headset links in with our visualisation programs so that you we can move around our buildings in a virtual reality. It can be a little too realistic and disorienting at times with some of our staff members reaching out for handrails when walking down the stairs. It is an excellent way to see how your building will look like before work has started on site therefore avoiding potential costs if changes are required later on.